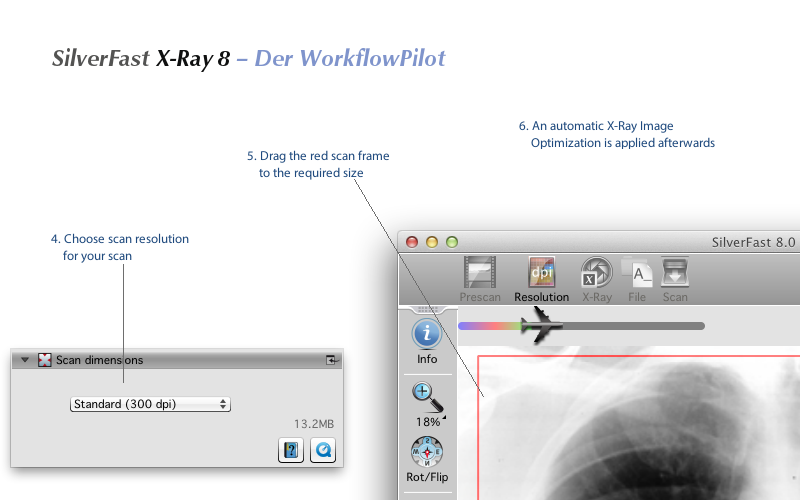 As a variant of the professional scanner software SilverFast Ai Studio 8, SilverFast X-Ray 8 has been specifically designed for digitizing medical x-ray film. 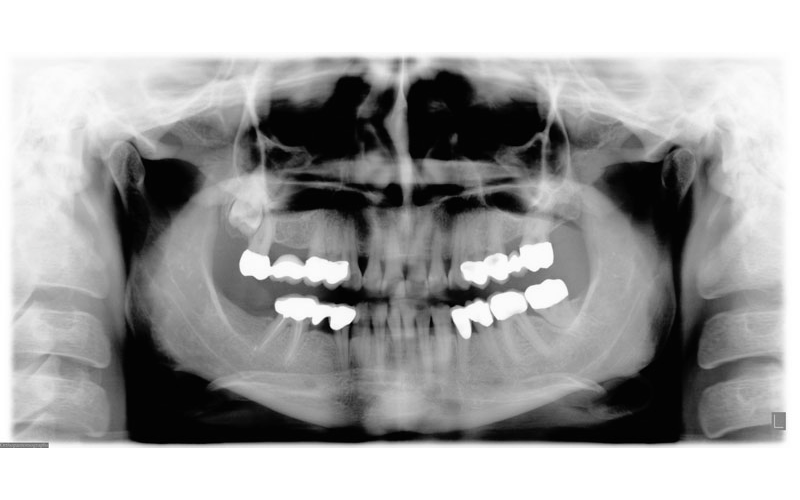 X-Ray images of bones, teeth, heart, lungs and other parts of the human body are scanned reliably and fast using SilverFast X-Ray 8. 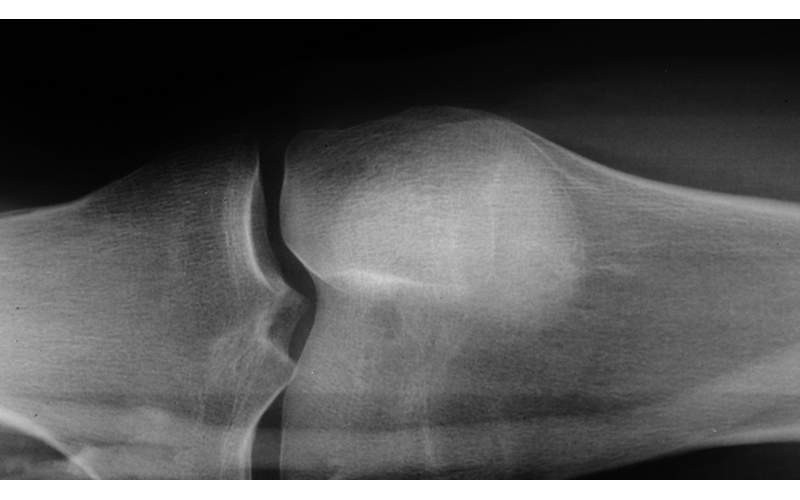 The high-quality digital x-ray film copies are ideal for archiving, for illustration in patient meetings and even for diagnostic purposes. 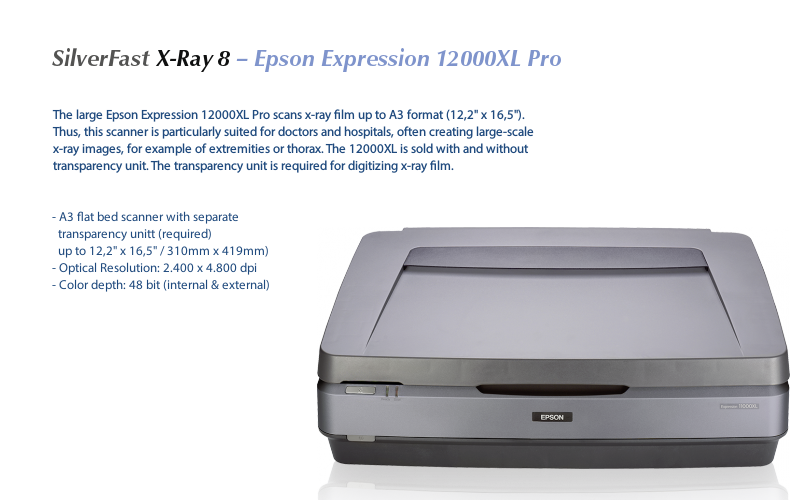 Just a few scanners are really suitable for digitizing x-ray film. From a medical standpoint, achieving color depth and high detail in the scans is of extreme importance. Simple scanners do not meet these standards, thus, SilverFast X-Ray is designed to support only the scanners with transparency units that do meet the high quality requirements needed to produce professional x-ray scans. Currently SilverFast X-Ray 8 supports these scanners. 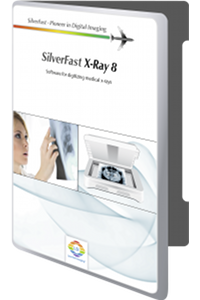 SilverFast X-Ray 8 has been developed in cooperation with the Institute for Media and Photo Technology (Special area: Radiological Imaging in Medicine and Technology and Photo Technology) of the University of Applied Science Cologne. 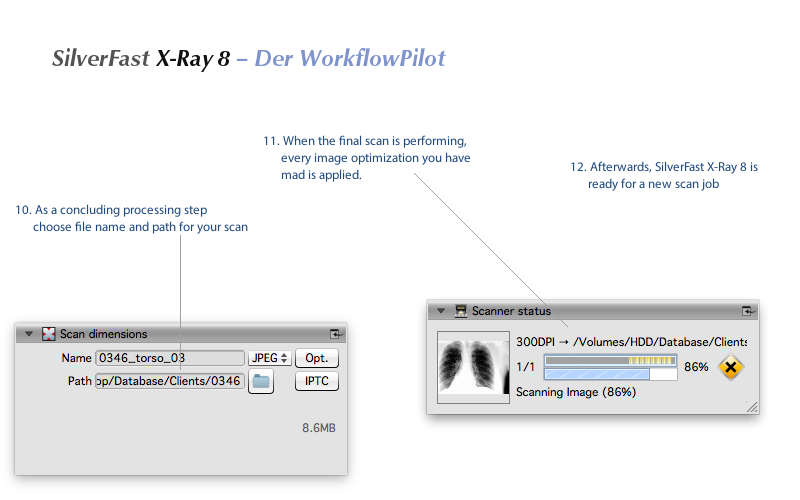 SilverFast X-Ray complies with the DICOM standards regarding storage format for digital x-ray images. 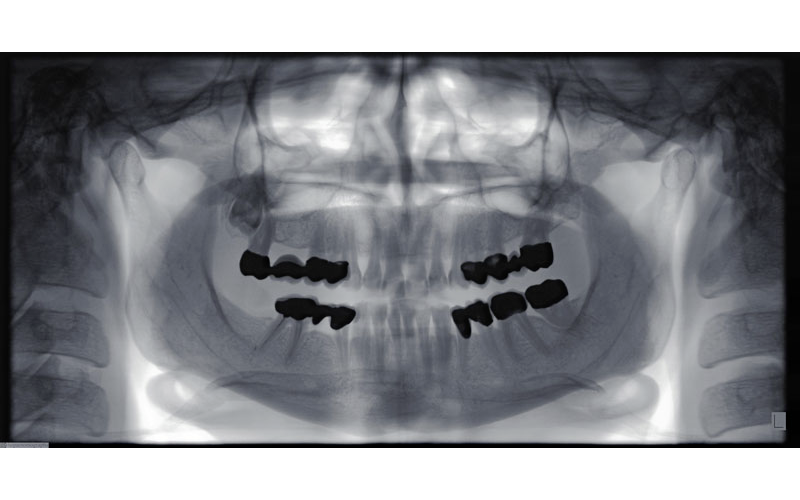 SilverFast X-Ray is individually adjusted to each scanner model and therefore is able to get maximum details and the complete tonal range from medical and scientific X-ray film. The intuitive user interface and logical tool sequence, enable even beginners to achieve perfect scans. 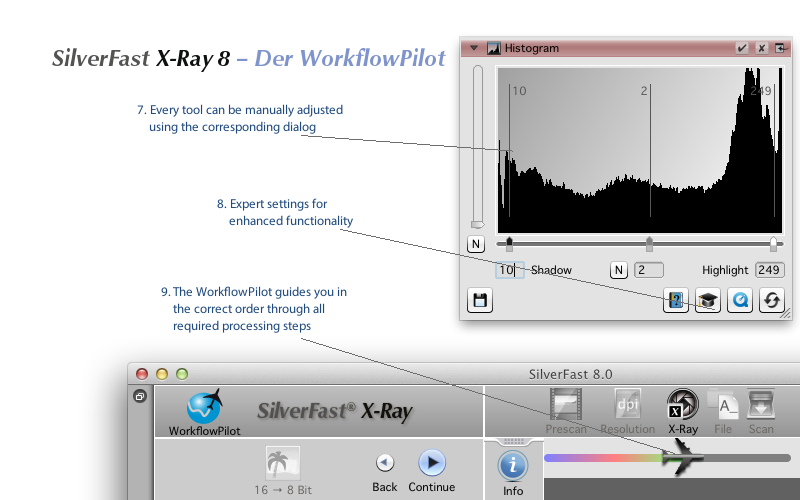 Beyond the x-ray scan functionality, SilverFast X-Ray 8 offers the complete feature range of professional scanner software SilverFast Ai Studio 8. 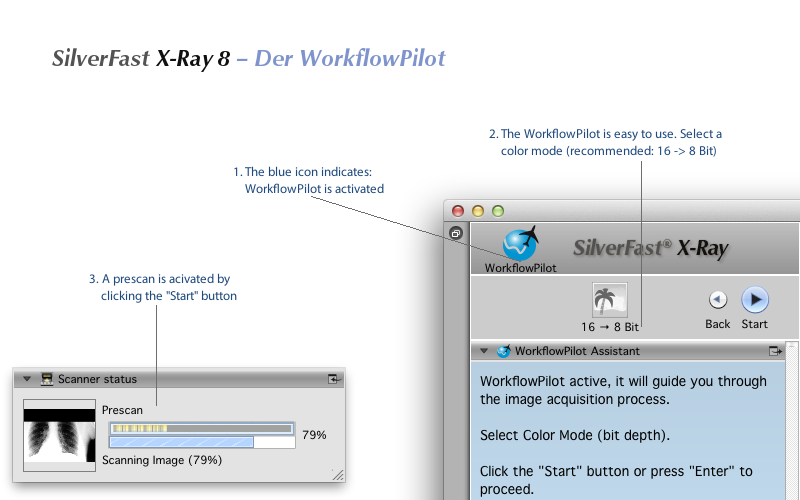 Screenshots of the SilverFast X-Ray 8 WorkflowPilot. 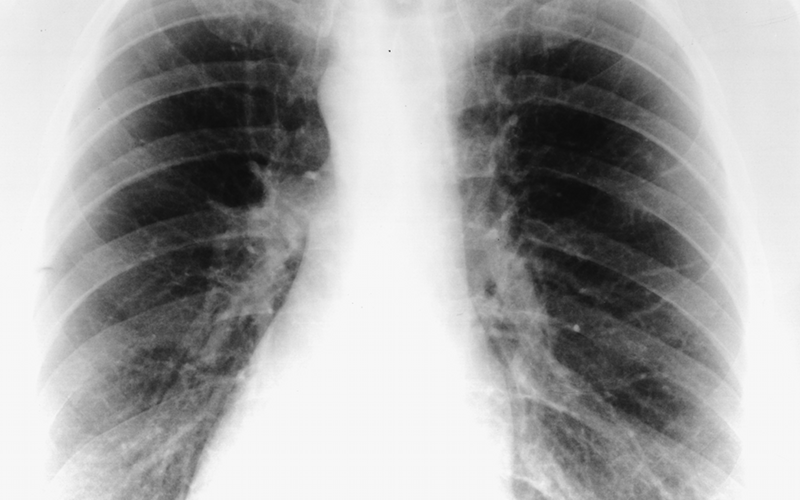 Some example x-ray images scanned with SilverFast X-Ray. 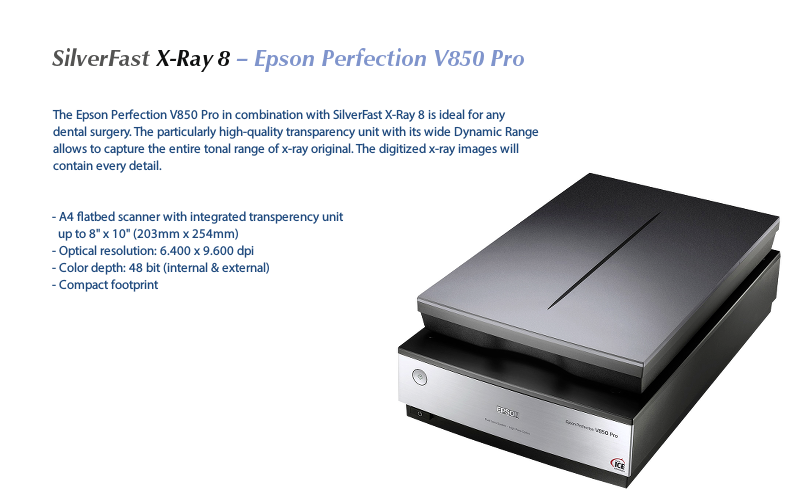 Recommendation: SilverFast X-Ray 8 and Epson flatbed scanners.